For each remote computer that meets these criteria, you’ll need to deploy the new license key you’ll find on the Deployment page of your RealVNC account when you renew your subscription, either desk-side or remotely. In all other circumstances, including if you establish cloud connections to that computer as well, we’ll handle licensing automatically for you when you renew. 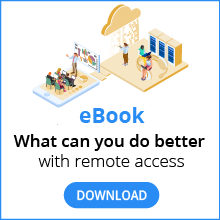 If your remote computers are connected to the Internet, it may be advantageous to add them to your team so your renewed subscription automatically re-applies. You can still disable cloud connectivity, so users can only establish direct connections to these computers.